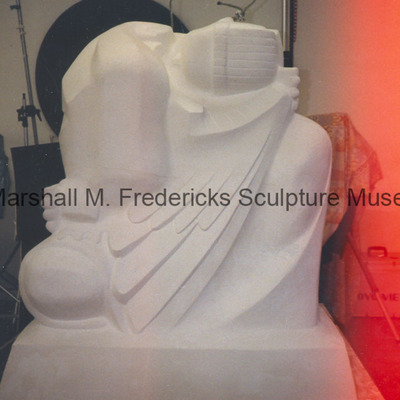 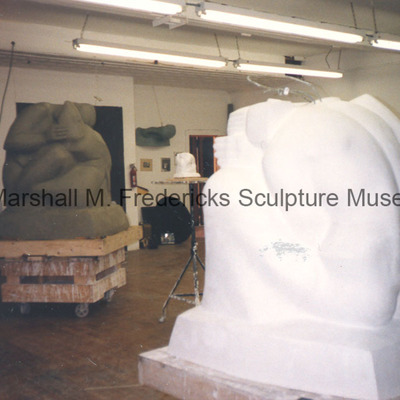 Plaster model for "Bird" and plasteline model for "Mammal" - two of the four sculptures for "Animal Kingdoms". 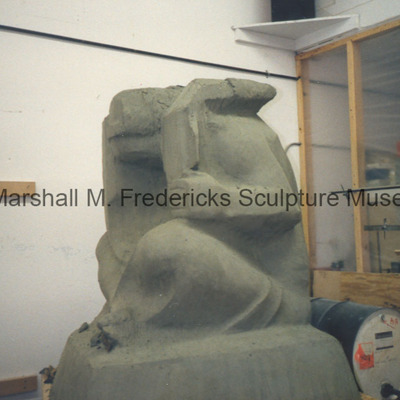 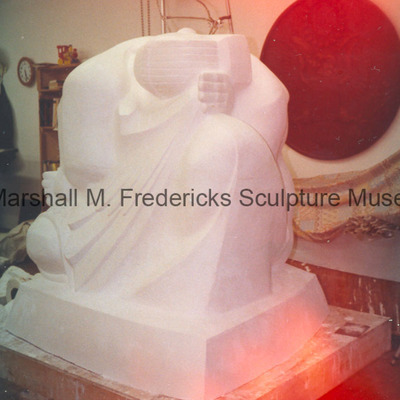 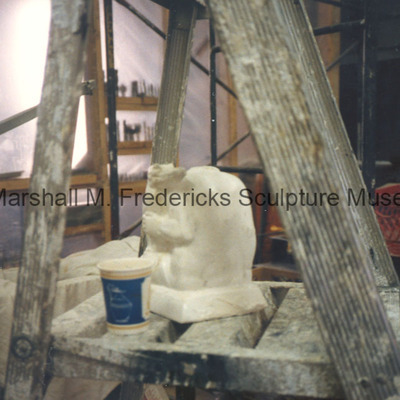 Plaster model of "Bird" - one of the sculptures in "Animal Kingdoms". 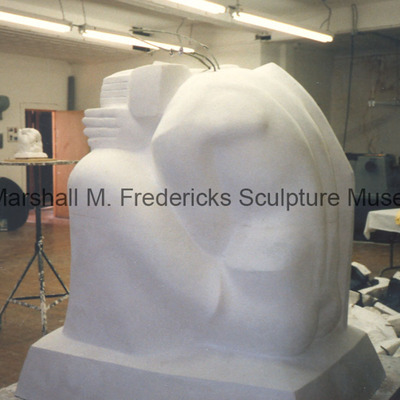 Plasteline model of "Fish" - one of the four sculptures in "Animal Kingdoms". 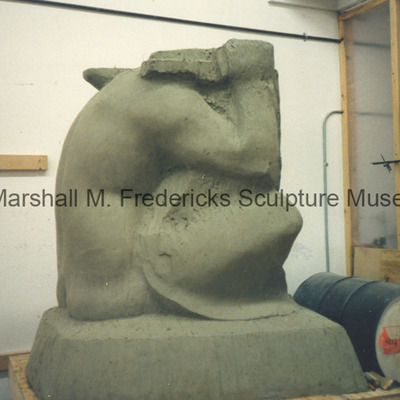 Plaster model of "Bird" - one of the four sculptures in "Animal Kingdoms". 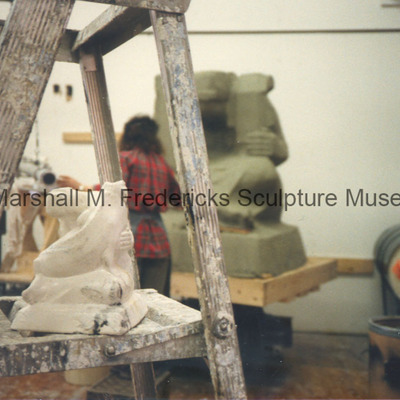 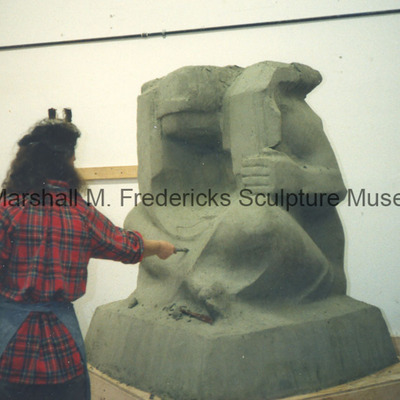 Unidentified woman using pantograph to enlarge plasteline model of "Fish" - one of the four sculptures in "Animal Kingdoms". 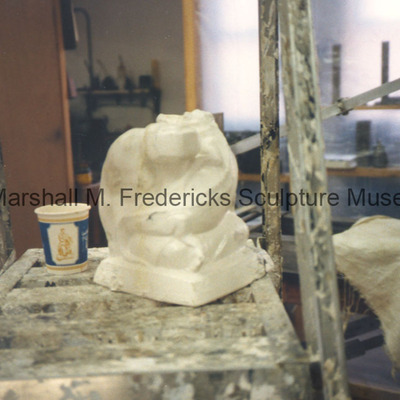 Small-scale plaster model of "Reptile" - one of the four sculptures in "Animal Kingdoms".